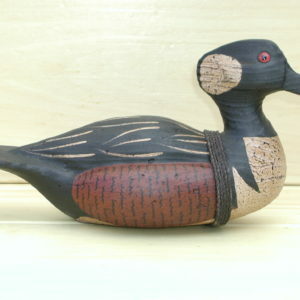 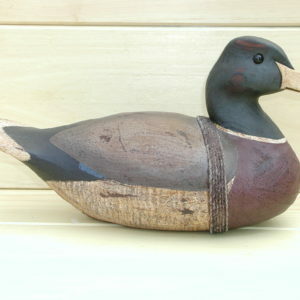 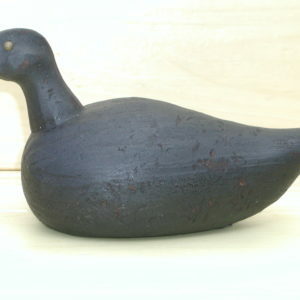 One of the best dressed ducks anywhere is the flashy Wood Duck. 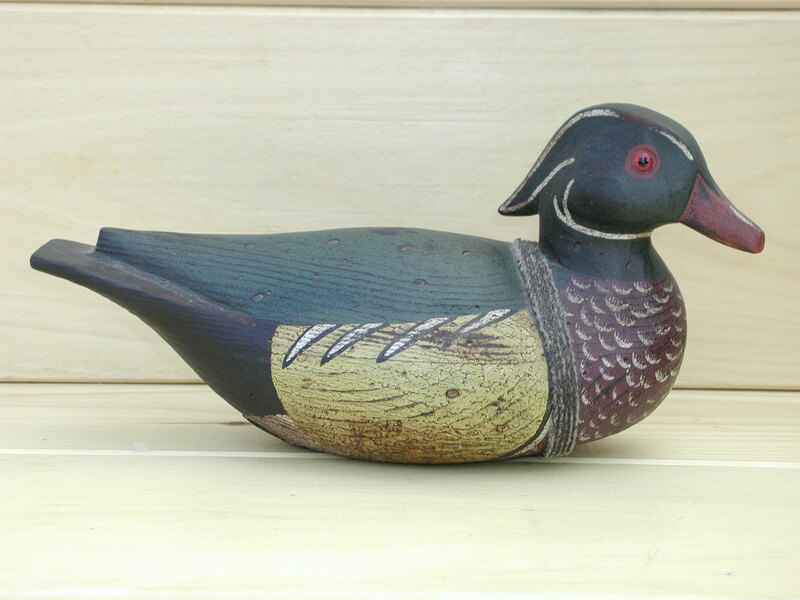 Our colorfully carved Crested Wood Duck features carved wings, a slightly turned head, glass eyes, lead weight, an anchor line, and a distressed patina. 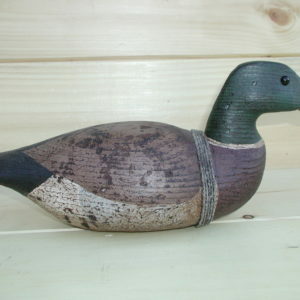 It is branded with the “WHITE” name and measures apprx.12″ long x 5″ wide x 6″ high.